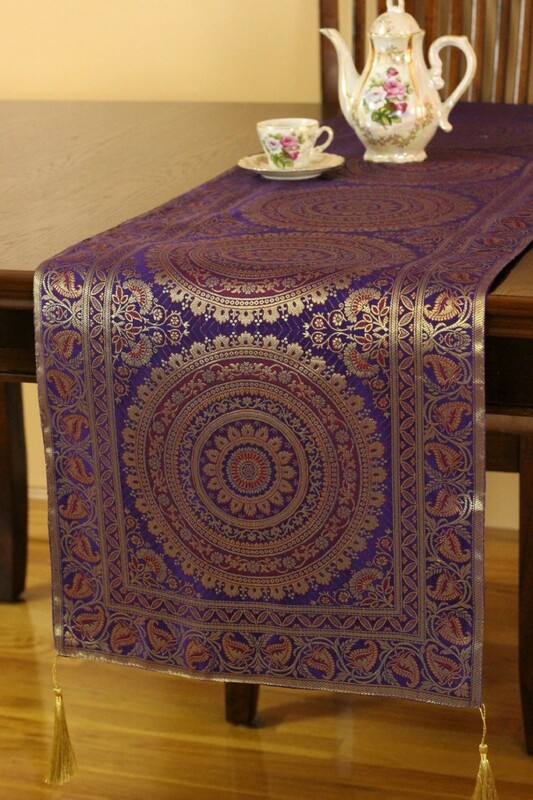 Bring beauty and style to your table tops with the Exotic Oriental Table Runner from Banarsi Designs. Discover the Exotic Oriental Table Runner from our exclusive Banarsi Designs Collection. 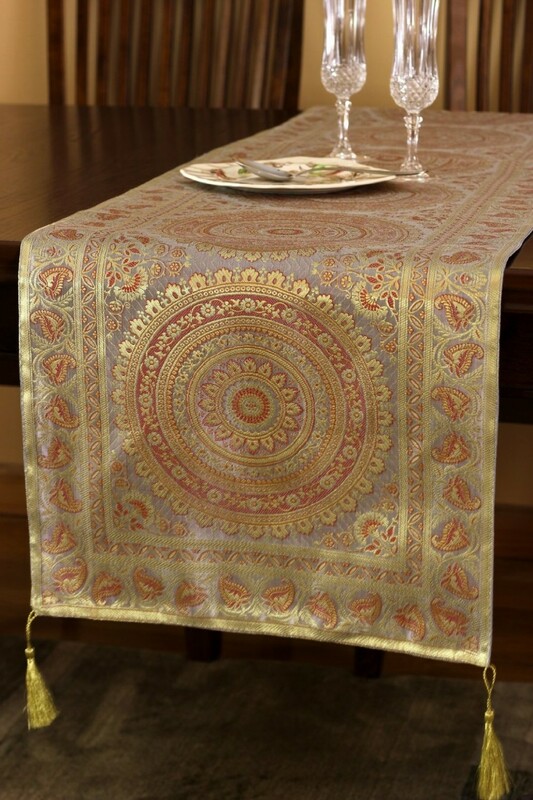 This gorgeous table runner offers a stylish Indian spiral design that brings beauty and inspiration to any table top! 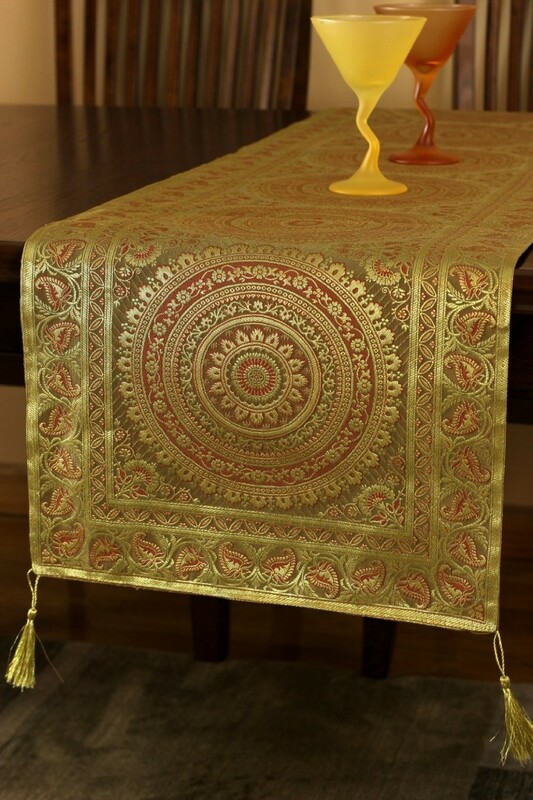 Crafted in India, this table runner is available sizes: 70" x 16" and 116" x 16".